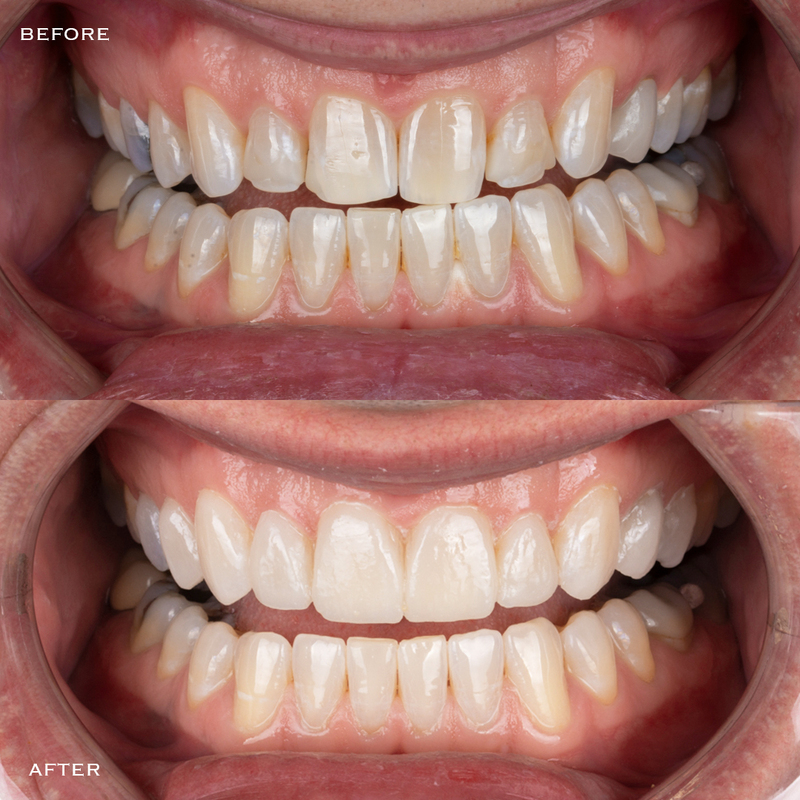 Veneers are thin porcelain or ceramic material bonded to the front side of teeth to beautify one’s smile by changing shade, shape and emergence profile of the teeth. The veneering process is a technique sensitive treatment that must be planned, prepared, and seated by an experienced dentist. The veneer planning process begins with photographs so Dr. Trembley and his patients can view the case in a “third person” setting on large 4K televisions. If the patient is eligible for veneers, a records appointment is scheduled so all necessary X-rays, models and digital scans can be captured and analyzed by Dr. Trembley. 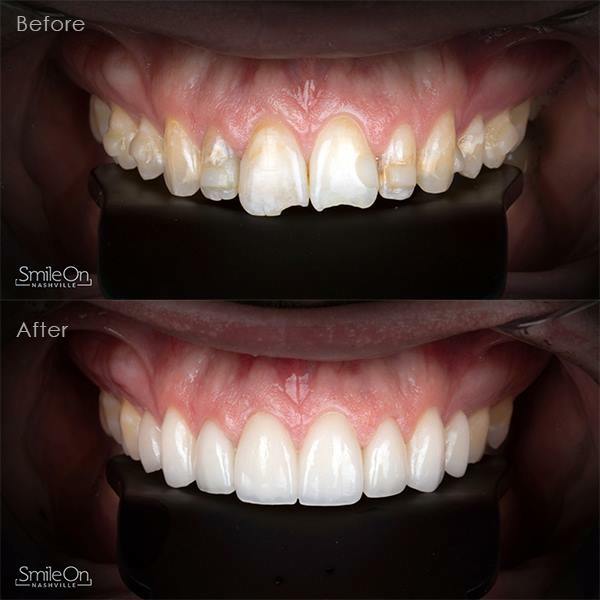 If both patient and Dr. Trembley like the custom smile design, a smile mockup appointment is scheduled. Dr. Trembley always advises a smile mockup so patients can preview their new smile before committing to the procedure. At the preparation appointment, the teeth will be prepared to allow for enough space to seat the veneers. Temporaries will be worn for two weeks while the permanent veneers are being fabricated. At the seating appointment, the temporary veneers are removed and the permanent veneers are bonded to the teeth. Once placed on the teeth, the patient will be scanned for a night guard to protect the veneers during sleep. At the end of the seating appointment, the veneers are fully functional and ready for eating, speaking and boosting confidence. Botox Therapeutic is used to treat conditions affecting nerves and/or muscles such as cervical dystonia, painful spasms of the head and neck, chronic migraines and nighttime bruxing (teeth grinding). Similar in chemical form to its cosmetic cousin, Botox Therapeutic is effective in reducing the activity of overactive muscles. 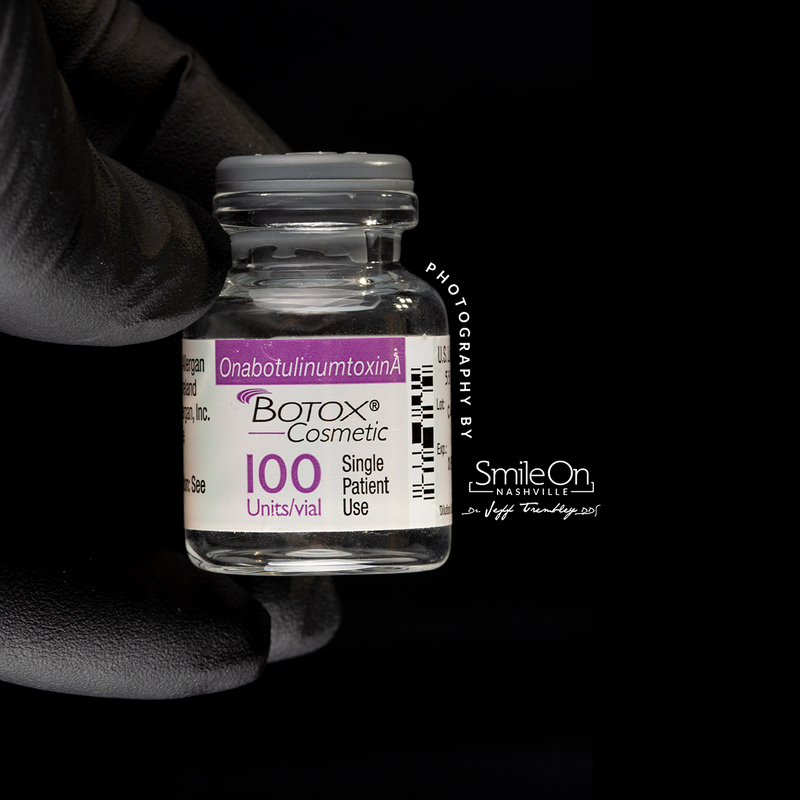 Botox Cosmetic is an injectable synthetic protein administered by Dr. Trembley to temporarily reduce contractions of facial muscles responsible for the appearance of facial lines and wrinkles. 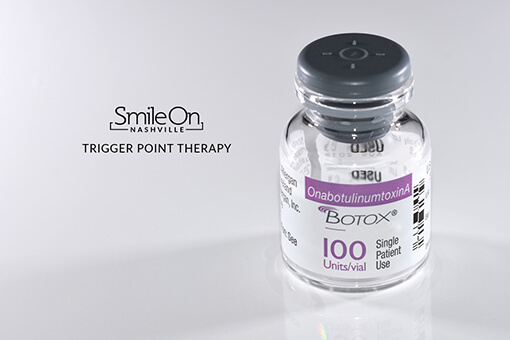 Dr. Trembley is experienced in the administration of onabotulinumtoxinA and is distinguished as a “silver provider” by Allergan based on the high volume of Botox administered at Smile On Nashville. Most adult patients are candidates for this elective treatment. Dr. Trembley’s philosophy of “less is more” allows him to finely tune each patient’s Botox treatment by mapping the movement of facial muscles, and tracking the effective or therapeutic dose for each patient. This is a service in which we reshape the soft tissue around the teeth for a more aesthetic look. The tissue surrounding your teeth (gingiva, ligaments, bone, lips) serve as the “frame” for your teeth. If the tissue is imbalanced, swollen or receding, Dr. Trembley may advise a variety of procedures that can create harmony amongst health and esthetic. 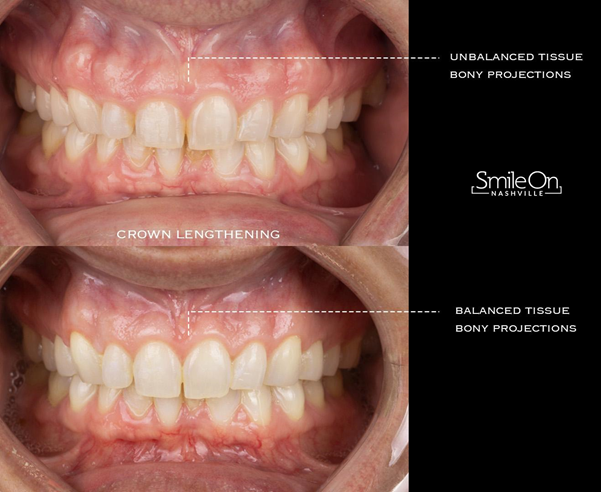 Crown Lengthening is a process in which bone and soft tissue are sculpted to expose the underlying tooth structure and to present a balanced appearance of the smile. From the moment the permanent teeth erupt, they acquire stain from food, drink and sometimes medication. Stain molecules become trapped behind the enamel and must be removed with a chemical treatment to disrupt the stain molecules. 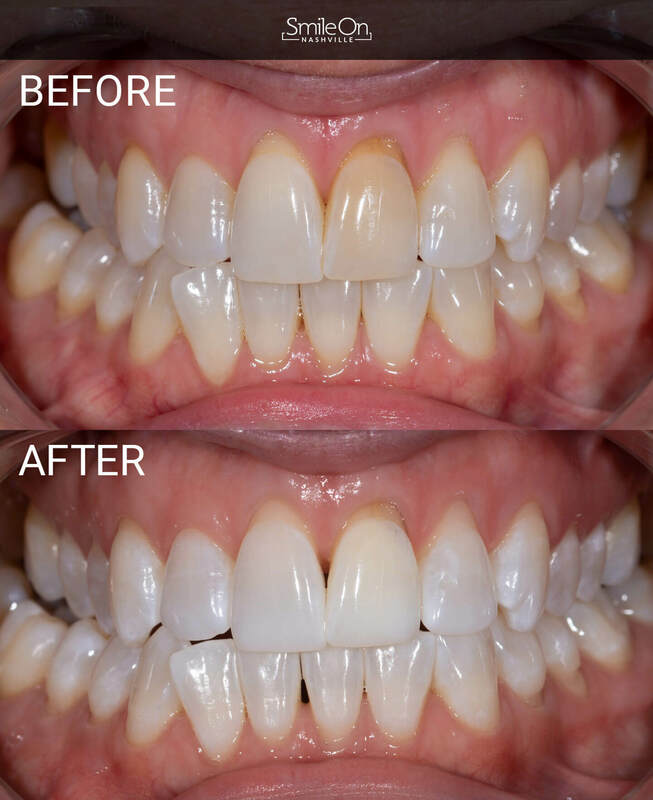 The whitening program at Smile On Nashville is one of our most popular services because of our proven results and dynamic treatment for true stain removal.